The Night Ministry is moving The Crib along with Health Outreach and administrative staff to a new location in Bucktown. Its iconic water tower, decorated with the blue stripes and red stars of the flag of Chicago, is a landmark of the city's skyline. And soon the four-story building at 1735 North Ashland will house one of Chicago's most iconic organizations. The Night Ministry is moving key portions of its operations to the red-brick building, located just north of the corner of Ashland and Wabansia, in Chicago's Bucktown neighborhood. It will serve as the home to The Crib, The Night Ministry's overnight shelter for young adults, as well as its Health Outreach Buses and central administration. "This move is about enhancing the services we provide as well as supporting efficiency and innovation in our programs, as called for in our strategic plan, Serving in the Next Decade," said Paul W. Hamann, The Night Ministry's President & CEO. The Night Ministry will occupy the first three floors of the building and has been working with Wheeler Kearns Architects on renovation plans. Construction is scheduled to begin in June with a move-in goal of November. The first floor will house The Crib, along with the offices of the Youth Outreach Team. Outreach & Health Ministry (OHM) and administrative staff, as well as storage for donations and supplies, will be located on the other two floors. Every night, The Crib provides safe, supportive shelter for up to 21 young adults experiencing homelessness. The program currently operates in the basement of Lake View Lutheran Church on West Addison. "Space is tight at The Crib, where guests eat, sleep, and have activities in the same 900-square-foot space," said Hamann. "They sleep on mats on the floor which must be stored away every morning." The three-year strategic plan The Night Ministry launched in 2017 calls for addressing these and other facility challenges faced by the program. "We won't be increasing bed capacity but creating a more dignified experience for guests," Hamann said. "We are designing the layout in the new building, which will more than double the square footage available for services, to optimize the use of space for The Crib's guests and staff," he said. Improvements will include a dorm room with beds, a dining room, an area for programming, private spaces for one-on-one meetings between staff and guests, multiple showers, and gender-neutral washrooms. The facility will also include an indoor waiting room, with Wi-Fi and outlets for charging phones, for guests who arrive before The Crib opens each evening. LaShaunda Battie, Manager of Youth Engagement Services, said she sees the move as an opportunity to evolve the program. "We focus on quality of services at The Crib now. I hope that in the new space we can also focus on the quantity of programming we provide," she said. "For example, with more space, we will be able to hold different types of groups for our guests simultaneously because we will have separate rooms. It also opens up the possibility of bringing in more volunteers and other partner organizations from the community," Battie said. Transportation options for guests include the Ashland Avenue and North Avenue buses as well as the CTA Red Line North and Clybourn stop, which is within walking distance of the building. The Night Ministry will provide transportation to the stop in the morning so guests can ride the train to work, school, and other agencies where they receive services. The Crib will continue to operate at Lake View Lutheran Church until the property on North Ashland is ready for occupation. Before the Health Outreach Bus heads out to provide services, OHM staff and volunteers load it up at The Night Ministry headquarters at 4711 North Ravenswood with medical supplies, food, hygiene kits, hot chocolate, and other items that are distributed to the clients the Bus serves. But before that, an OHM staff member must retrieve the Bus from its overnight parking space, which is located three miles from the Ravenswood facility. And, after the Bus completes its visits at the end of the evening and unloads at the Ravenswood facility, it must be driven back to its overnight spot. Addressing that challenge is another component in The Night Ministry's current strategic plan. "When we started doing an assessment for facilities, we asked our Health Outreach staff what they wanted in a new location," said Hamann. "They said they wanted to be with their buses." 1735 North Ashland will have on-site parking for the Bus, as well as for the vehicle that serves as a back-up and OHM's outreach vans. There will also be a loading dock and enhanced storage space for health care equipment and supplies. David Wywialowski, Director of OHM, said there's another advantage to the new location. "We will be more centrally located to get to all areas of the city we serve, which will be great for both the Bus and Street Medicine programs," he said. The Night Ministry began searching for properties that could address the facility challenges with The Crib and OHM two years ago. The initial search for The Crib centered in Lakeview, but, despite help from local officials and community members, a suitable, affordable spot could not be found in the neighborhood, so the search for the program's new home widened to other areas of the city. In the meantime, The Night Ministry learned that the Ravenswood building that houses its headquarters, which it had moved into in 2002, had been sold and was going to be converted into storage. Barbara Bolsen, The Night Ministry's Vice President of Strategic Partnerships & Community Engagement, was leading the property searches when she located the building on North Ashland. "I realized that we could possibly move all three—The Crib, OHM, and central administration—to this location," she said. The new facility will have 15,000 square feet available for Health Outreach and central office staff, up from less than 9,000 square feet in the Ravenswood location. 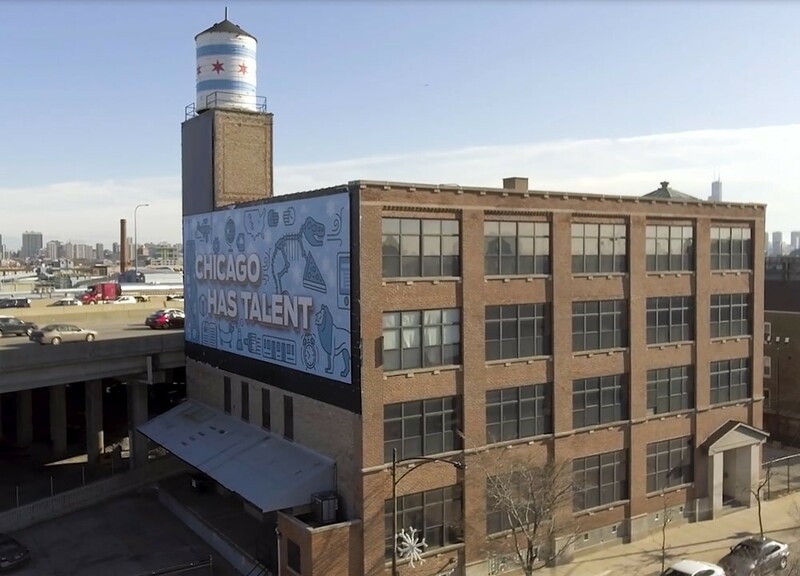 Bolsen said the increase in office space will accommodate expanded operational needs that have come along with growth in The Night Ministry's programs, completing a third goal of the strategic plan that had originally called for modifying the space at 4711 North Ravenswood. "We were only operating one shelter when we moved into Ravenswood," she said. "And now we have five housing programs. OHM was a much smaller program at that time as well. Today it encompasses not only the Health Outreach Bus but Street Medicine and the health care services we provide at partner organizations." Office areas on the second and third floors will be arranged flexibly, allowing for greater collaboration among and across departments and positioning the space for additional staff in the future. Headquartering at 1735 North Ashland also brings The Night Ministry's administrative office closer to its other facilities—the Response-Ability Pregnant & Parenting Program (RAPPP) in Lakeview; the Open Door Shelter in West Town; and Phoenix Hall in North Lawndale. The Night Ministry estimates the cost of the move and renovation of 1735 North Ashland, for which it has signed a multi-year lease, will be $4 million. It also projects $1.2 million in additional operating expenses for the first three years, as costs for rent and utilities will be higher in the new location.